With the job market heating up in 2018, many people are finding that it’s time for a new challenge. 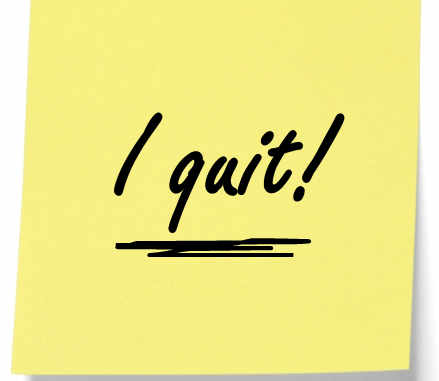 If you are about to quit for a new job next year we’d like to offer some helpful advice as you enter a new chapter in your career. If you’re considering a search for a new job, first ask yourself what you’re lacking in your current position. In many cases, your current company may be able to offer you bigger challenges, more responsibility, and a pay raise. In fact, your current company is often more likely to push you along your career in new and challenging ways, whereas new companies will want to see that you have a proven track record fulfilling a position’s responsibilities. Focusing on where you want your career to go, will allow you to drive your job search in a focused fashion. So many people leave jobs they dislike only to find another job just like it. Although it may sound like fun, bringing a band along or making a sliding exit will only burn bridges. Remember, the people you’re working with now, may well be leading efforts that you’d like to join in five years. Explain your reasons for leaving – since the company is already aware of your career development desires (see above), your departure will not be a surprise. In many cases, they’ll be thrilled for you and your opportunity, although they will certainly be concerned with transitioning your responsibilities. Depending on your role, this may mean assisting with locating your replacement, interviewing candidates, and documenting procedures and tasks that you’ve been performing. In extreme cases, you may be asked to return part-time as a contractor in order to fully transition business processes. Be as flexible as you can with these requests, as a smooth transition will help leave fond memories behind. Asking for recommendations now rather than years down the road, will fill your LinkedIn profile with strong references you can display immediately. The people writing about you will have had recent interactions and will be able to use details to support the fact that you’re great at what you do.